I assume the shards are from the pitchers the miners had destroyed. Brand, and subsequent editors, was fond of gathering little oddities like this from archives, newspaper clippings, and so forth, with little effort to verify their validity. I doubt that this custom was widespread or lasted very long. It is not recorded in any other edition of Popular Antiquities. There is a little that can be gleaned though, and I am not inclined to dismiss the custom outright. The “Paul’s Eve” that is referred to is the eve of the Feast of the Conversion of St Paul (Jan. 25). Prior to his conversion Paul was known for his persecution of Christians, and in the Acts of the Apostles it is noted that he was present at the stoning of St Steven (see Dec 26). So it is conceivable that the tin miners on the eve of Paul’s conversion were symbolically re-enacting Paul’s life prior to his conversion. Whatever the truth of the matter, this snippet of folklore gives me the chance to talk about Cornish tin miners, and, of course, Cornish pasties. 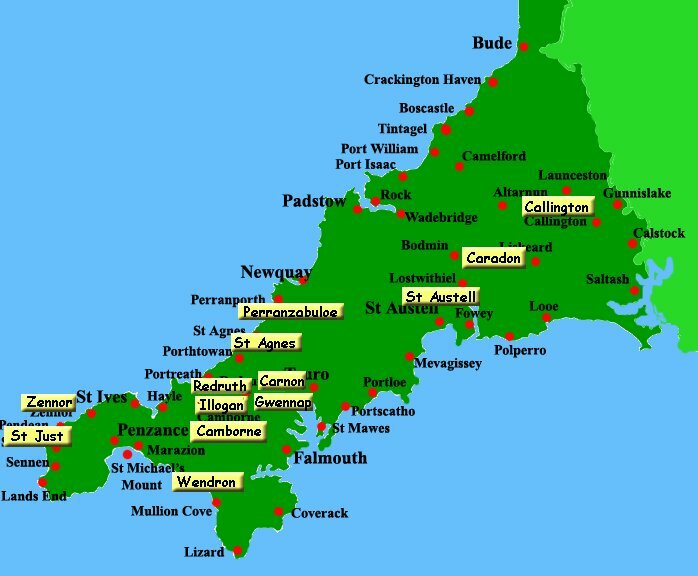 Mining in Cornwall and Devon in the south west of England began in the early Bronze Age approximately 2150 BCE and ended with the South Crofty tin mine in Cornwall closing in 1998. Tin and later also copper were the most productive of the metals extracted: some tin mining continued long after mining of other metals had become unprofitable. However it was in the 19th century that mining reached its zenith, before foreign competition depressed the price of copper, and later tin, to a level that made Cornish ore unprofitable. The areas of Cornwall around Gwennap and St Day and on the coast around Porthtowan were among the richest mining areas in the world and at its height the Cornish tin mining industry had around 600 steam engines working to pump out the mines (many mines stretched out under the sea and some went down to great depths). By the middle and late 19th century, Cornish mining was in decline, and many Cornish miners emigrated to developing mining districts overseas, where their skills were in great demand: these included South Africa, Australia and North America. Cornish miners became dominant in the 1850s in the iron and copper districts of northern Michigan and Wisconsin in the United States, and later in mining regions across the globe. In the first 6 months of 1875 over 10,000 miners left Cornwall to find work overseas. 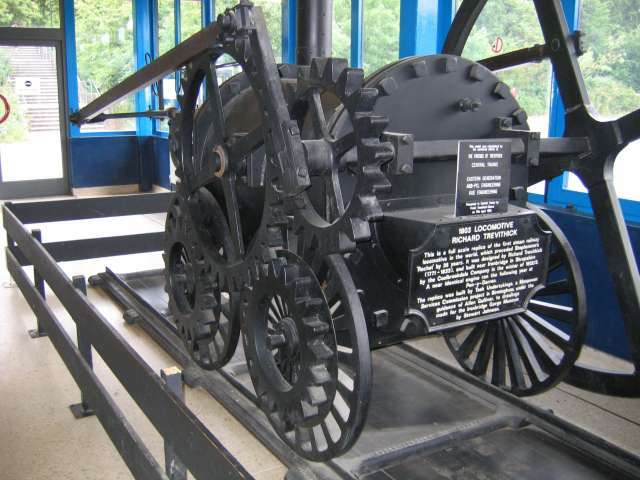 Cornish tin (and other) mines were at the very center of the Industrial Revolution in England seeing the development of increasingly efficient steam engines for pumping, and also the evolution of mineral railways – train lines running into the mines to haul ore out – which were well advanced before the idea was translated into commercial railways above ground. But with technological advancement came increasing exploitation of labor, and all the problems, social and economic, of industrial development. These tales will have to wait for another time, however, because I want to focus on the quintessential miner’s lunch: the Cornish pasty. Despite the modern pasty’s strong association with Cornwall, its exact origins are unclear. The English word “pasty” derives from Medieval French paste from vulgar Latin pasta, meaning “a pie,” typically filled with venison, salmon or other meat, vegetables or cheese, and baked without a pie dish. Pasties have been mentioned in cookbooks throughout the ages; for example the earliest version of Le Viandier has been dated to around 1300 and contains several pasty recipes. In 1393, Le Menagier de Paris contains recipes for pasté with venison, veal, beef, or mutton. Other early references to pasties include a 13th-century charter which was granted by Henry III (1207–1272) to the town of Great Yarmouth. The town is “bound to send to the sheriffs of Norwich every year one hundred herrings, baked in twenty four pasties, which the sheriffs are to deliver to the lord of the manor of East Carlton who is then to convey them to the King.” Around the same time, 13th century chronicler Matthew Paris wrote of the monks of St Albans Abbey “according to their custom, lived upon pasties of flesh-meat.” A total of 5,500 venison pasties were served at the installation feast of George Neville, archbishop of York and chancellor of England in 1465. They were even eaten by royalty, as a letter from a baker to Henry VIII’s third wife, Jane Seymour (1508–1537) confirms: “…hope this pasty reaches you in better condition than the last one…” In his diaries written in the mid 17th century, Samuel Pepys makes several references to his consumption of pasties, for instance “dined at Sir W. Pen’s … on a damned venison pasty, that stunk like a devil.” However, after this period the use of the word “pasty” outside Cornwall declined. 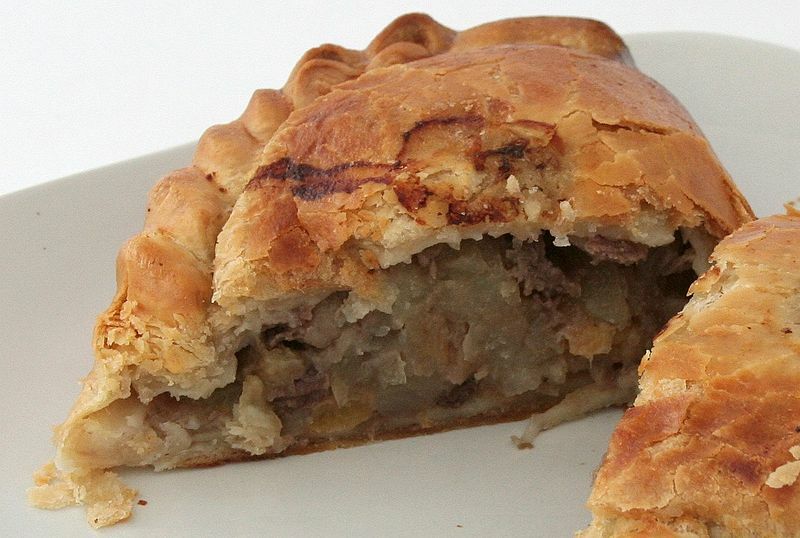 In contrast to its earlier place amongst the wealthy, during the 17th and 18th centuries the pasty became popular with working people in Cornwall, where tin miners and others adopted it due to its unique shape, forming a complete meal that could be carried easily and eaten without cutlery. In a mine the pasty’s dense, folded pastry could stay warm for several hours, and if it did get cold it could easily be warmed on a shovel over a candle. Side-crimped pasties gave rise to the suggestion that the miner might have eaten the pasty holding the thick edge of pastry, which was later discarded, thereby ensuring that his dirty fingers (possibly including traces of arsenic) did not touch food or his mouth. However many old photographs show that pasties were wrapped in bags made of paper or muslin and were eaten from end-to-end. According to the earliest Cornish recipe book, published in 1929, this is “the true Cornish way” to eat a pasty. The traditional Cornish pasty now has Protected Geographical Indication (PGI) status in the European Union. PGI status requires that a Cornish pasty must be a circle of pastry filled with a mix of uncooked beef, sliced or diced potato, swede (also known as a yellow turnip or rutabaga – referred to in Cornwall as turnip) and onion, seasoned with salt and pepper, folded over to form a half moon shape, crimped on the side, and baked until golden. 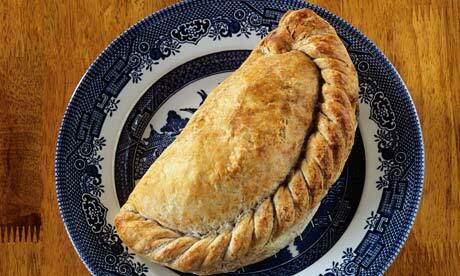 Furthermore only pasties made in Cornwall may be called Cornish pasties. I must say that I have never had pasties as wonderful as those baked in Cornwall – no doubt due to the same kind of devotion to a regional product that other regions devote to cheese or wine. 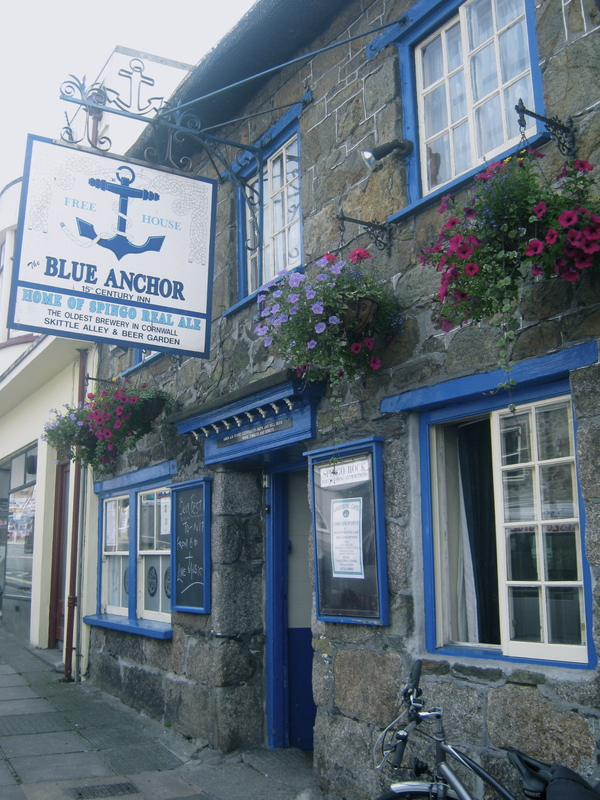 The finest pasty I ever had was in the Blue Anchor in Helston in April 1975 (yes, I have a good memory!). I was visiting the Blue Anchor because it was legendary in those days as one of only four pubs in England that brewed its own beer (and had been doing so since the 15th century). I ordered a pasty almost as an afterthought to go with my lunchtime pint. It was just perfect – the pastry was flaky, the filling was the right balance of meat and vegetables, but, most important to me, the black peppery richness of the filling enhanced the other flavors and left a warm rosy glow in my mouth. I wish I could recommend them to you, but I gather the pub no longer serves food. A great shame. As Cornish miners emigrated to jobs around the world they took the pasty with them. In both my schools in Australia there was a choice of hot dishes for lunch – a meat pie or a pasty produced fresh daily by the local baker. 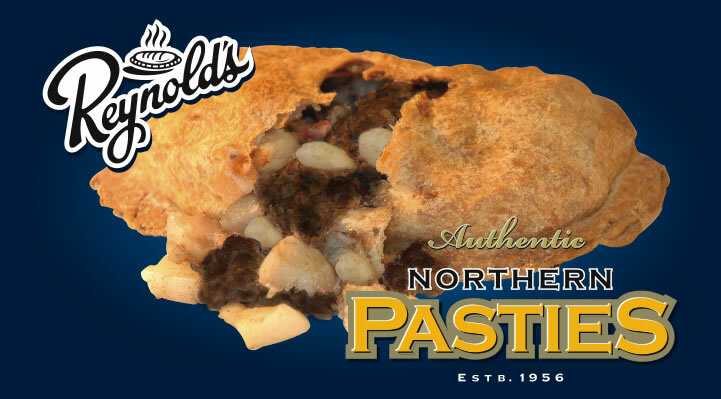 Pasties are also well loved in the the Upper Peninsula of Michigan and parts of Wisconsin where Cornish miners settled. In fact Wisconsin is known as the Badger state, “badger” being a nickname for a miner. 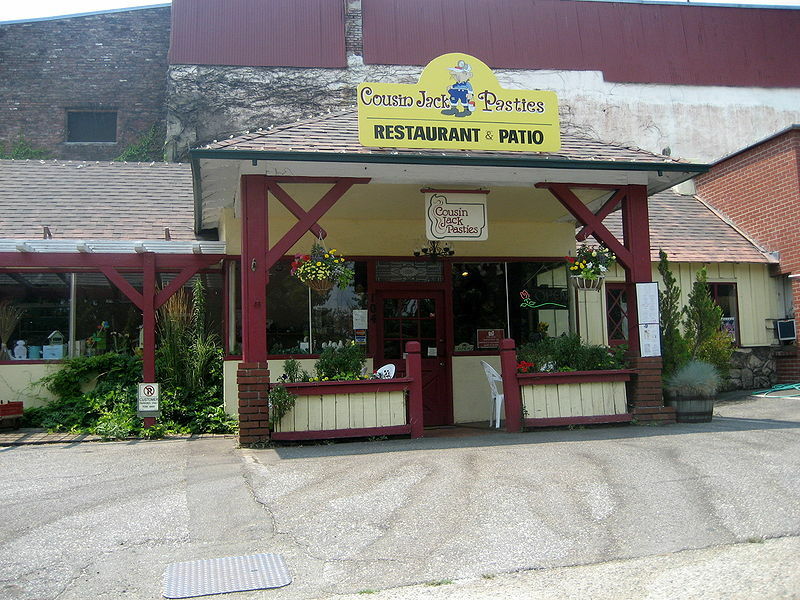 In some areas, pasties are a significant tourist attraction, including an annual Pasty Fest in Calumet, Michigan in late June. A similar local history about the arrival of the pasty in the area with an influx of Welsh and Cornish miners, and its preservation as a local delicacy, is found in Butte, Montana. 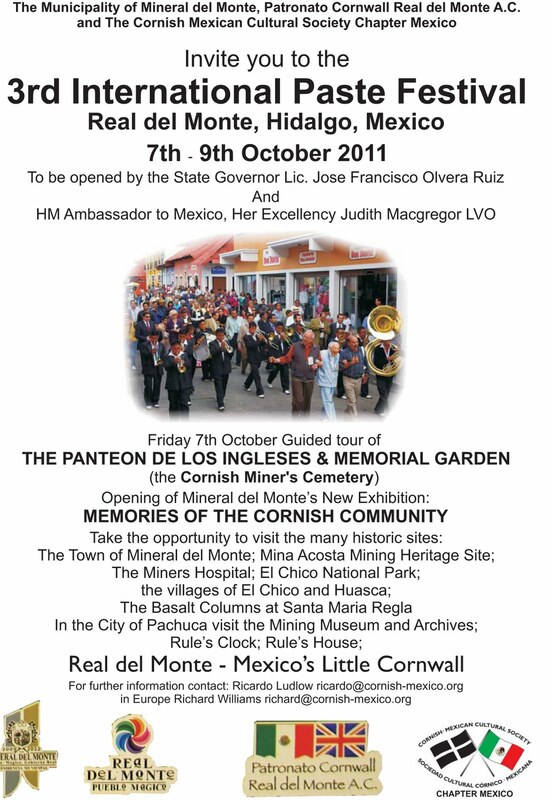 The Mexican state of Hidalgo, and the twin silver mining cities of Pachuca and Real del Monte (Mineral del Monte), have notable Cornish influences from the Cornish miners who settled there with pasties being considered typical local cuisine. In Mexican Spanish, they are referred to as pastes. It is important to distinguish between these pastes and the ubiquitous Latin American favorite, the empanada. They may look superficially similar but they have very different histories. Empanadas evolved from Iberian pastries and have some, or all, of their fillings cooked before they are baked. They also have a range of fillings, not just beef and vegetables, and it is very common in many regions of Latin America to fry rather than bake them. If you are an experienced cook you do not need more than the rudiments to be able to bake your own pasties. Cut a circle of short crust pastry and fill it with a mix of chopped beef, potatoes, swede, and onions seasoned generously with freshly ground black pepper, fold over the pastry, crimp on the side, and bake until golden. But if you want a recipe from scratch here is one taken from this BBC website. It’s worth visiting the site if you need help because it has several video demonstrations as well as photo illustrations. Put the pasties onto the baking tray and brush the top of each pasty with the egg and salt mixture. Bake on the middle shelf of the oven for about 45 minutes or until the pasties are golden-brown. If your pasties aren’t browning, increase the oven temperature by 10C/25F for the last 10 minutes of cooking time. Great post, nice to see some love for the pasty! I am always grateful for expert advice. Your comment may help explain why my pasties turn out better when I am too knackered to knead for long. I do prefer the strong flour, though. I’ll take note. My biceps thank you too. Tough to chew but easy to crimp is an easy one to resolve — it’s all about the eating not the ease of production ! It is my general opinion that the farther you get from Cornwall, the more likely you are to find aberrations such as carrots — or worse. I’ve never had a bad pasty in Cornwall, although I suppose they exist. 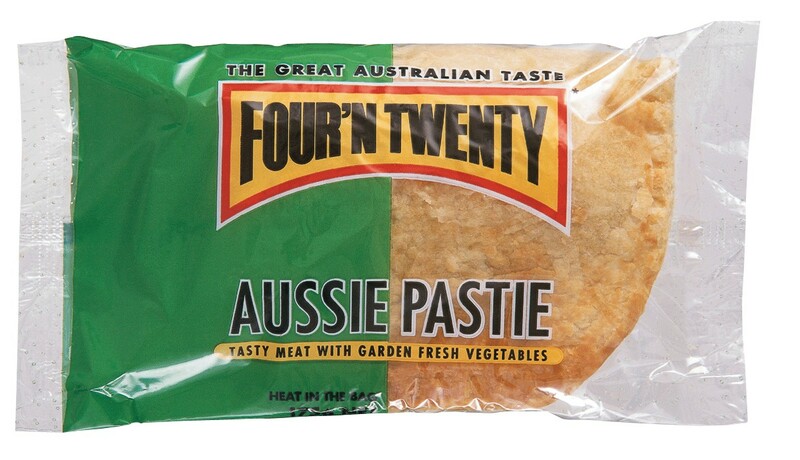 At my school in South Australia the pasties had the right ingredients and the pastry was good. But they were crimped on top !!!! Your book looks like a delight. I am not sure I can find it in bookstores in Buenos Aires, but I have a birthday coming up, so maybe I can drop a hint to my sister who lives in Reading. Congratulations on your titles. You must have have had some stiff competition. And trust me, there are bad pasties in Cornwall too, though luckily they are outnumbered by the good ones! 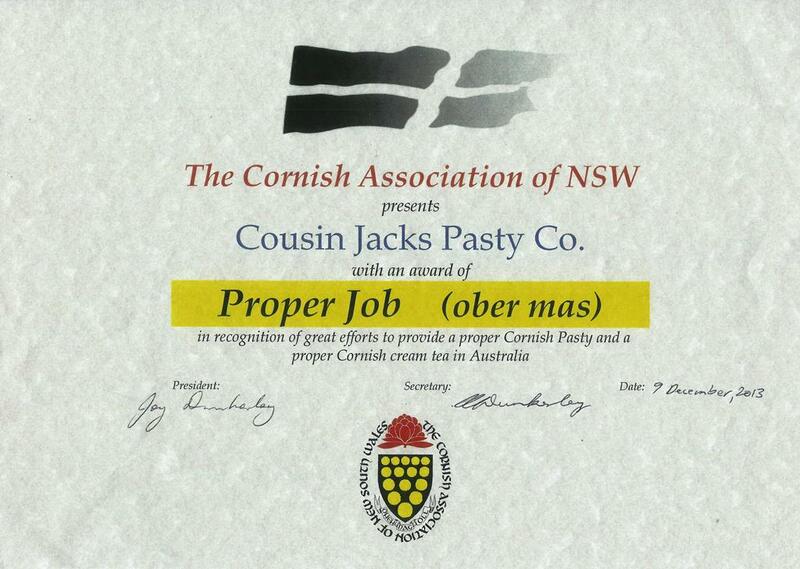 I’m not surprised you had good pasties in South Australia though, there’s a massive Cornish diaspora there. In fact, I believe there are now more people of Cornish descent in SA than living here in Cornwall! As for crimping, traditionally it was done both ways (some people crimped on top, some on the side). The notion that a Cornish pasty HAS to be crimped on the side is a modern invention. Hi Billy: Very interesting. I was under the impression that PGI status for a Cornish pasty required side crimping. But obviously such rules are to a degree based on convention at the time of establishing the PGI status rather than history. Perhaps my baker in South Australia was following an older tradition. I note that PGI status does not specify the type of pastry used. It should be clear that I am not a pastry chef. That’s the province of my sister, Juana, who ran a bakery on Staten Island called The English Tart for many years. I bow to your wisdom and hers when it comes to pastry. Although I think I make a pretty mean hot water pastry for pork pies etc. One day a recipe for veal, ham, and egg pie will appear here. Homemade beats commercial brands, although I’ve had some good ones made by local bakers, especially in the West Country. I have not lived in England since 1975 when regional cooking was spotty, but good when you could find it. Otherwise general English cooking was fair at best. I’m really pleased at the renaissance of good English cooking — cheeses now, for example, are amazing in variety and quality. On this blog I try off and on to spread the word about good English cooking because the impression that English food is rubbish is stubbornly persistent internationally. People like yourself are doing a superb job of changing that impression. It’s very clear when you dip into the history of English cooking that it had some great highs. The 20th century was a bit of a low spot, especially the postwar years. The mail in Argentina is very much a gamble. Maybe 25% of parcels sent to me from abroad never arrive. Christmas before last I did not get a single Christmas card. So, thanks for the kind offer, but I’ll explore other options. Kindle may well be the best. I’m glad you like the site. It’s been up since May and is steadily growing in readership. It’s probably obvious that I love doing it. I’m hoping to convert it to a book at some point, although I’ll have to edit the entries quite a bit to keep the length under control. This format allows me to be as expansive as I want, which I like. I have not found anything else online that is quite like what I am doing, so I think I could find an audience for a book. P.S. Empanadas in Argentina are crimped differently according to the fillings — beef, chicken, cheese, greens, corn etc — so that they can be distinguished when being served or sold. Some empanaderías have a worker producing them in the window, and I often stand fascinated at the skill. They work so FAST, and the crimping is perfect every time. I guess if you make 100 an hour for 10 years you get good. You’re right, the PGI specs do say Cornish Pasties made commercially now need to be side crimped. The specification was put together by a consortium of mostly large producers, and in my opinion was mostly done for the benefit of those large businesses rather than to protect the reputation and quality of the pasty itself. All of the big commercial producers side crimp, so now any small artisan producer in the county who may have been top-crimping for generations has to either change, or not legally sell their wares as “Cornish Pasties” – very sad if you ask me! And you’re right that the spec doesn’t specify a type of pastry, nor does it specify the quality or provenance of the ingredients. Seems to me that PGI status is a mixed blessing. You don’t want some two-bit winery in California producing reds and marketing them as Bordeaux. I also think it is sad that cheddar missed the boat. Who knows what you are getting when you buy something sold as cheddar? But when PGI status is used for protectionism, pure and simple, it is a misuse, especially, as in the case of the Cornish pasty, you exclude artisan producers who are perfectly traditional in their approach. I’m not sure how powerful PGI status is internationally. Argentine cheese makers (who are very good) market cheeses they label as Roquefort or Brie and I doubt French producers are going to come after them. I gather pasty makers across England were not happy when the PGI status was granted. Again, on the plus side, the status stops producers from using carrots or pre-cooked fillings. But, given that there are no specs concerning the source of the ingredients, it smells of protectionism over quality. If you want to make Calvados, your apples have to come from Normandy. Could there be such a thing as a terroir Cornish pasty? Could all the ingredients be sourced locally? Would it make a difference? It seems very clear to me that next time I am in Blighty (Lord knows when), I have to hop down for a pint and a natter.